Al Ahli Bank of Kuwait (ABK) is celebrating World Diabetes Day this month by teaming up with Royale Hayat Hospital to offer customers a range of discounts on diabetes related treatments and products till 31 December 2018. 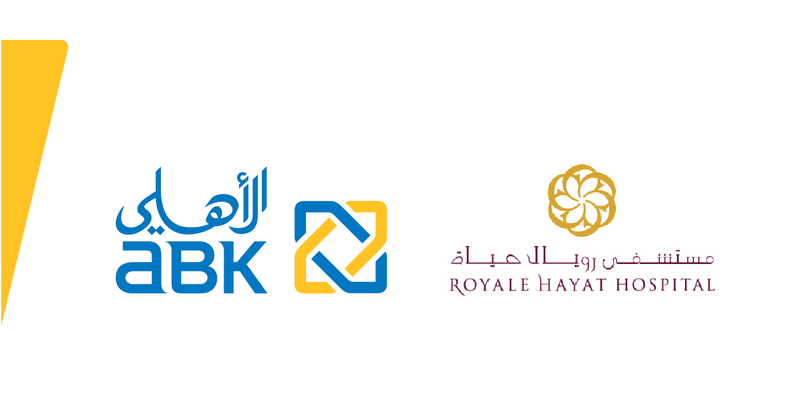 ABK customers will be able to get up to 30% off treatments at Royale Hayat Hospital when they pay with an ABK debit or credit card. They will also be able to buy the Royale Hayat Hospital’s diabetes mini package, which includes fasting blood sugar, HbA1C and micro-albumin for only KD 22, or the diabetes full package which contains fasting blood sugar, HbA1C, micro-albumin, complete blood count, lipid profile and renal profile for only KD 60. The World Health Organisation’s World Diabetes Day is marked on 14 November every year and ABK is keen to use the opportunity to raise the profile of diabetes and the range of effective treatments which are available. Diabetes has become a major issue in Kuwait, with an estimated 15% of adults now suffering from its debilitating effects. If not treated effectively, Diabetes can lead to a heart attack, stroke, blindness, kidney failure and lower limb amputation. ABK is committed to the wellbeing of the Kuwait community and its support for World Diabetes Day is part of its ongoing programme to promote a better lifestyle.